Like Divakaruni's much-loved and bestselling short story collection Arranged Marriage, this collection of poetry deals with India and the Indian experience in America, from the adventures of going to a convent school in India run by Irish nuns (Growing up in Darjeeling) to the history of the earliest Indian immigrants in the U.S. (Yuba City Poems). Groups of interlinked poems divided into six sections are peopled by many of the same characters and explore varying themes. Here, Divakaruni is particularly interested in how different art forms can influence and inspire each other. One section, entitled Indian Miniatures, is based on and named after a series of paintings by Francesco Clemente. Another, called Moving Pictures, is based on Indian films, including Mira Nair's "Salaam Bombay" and Satyajit Ray's "Ghare Baire." Photographs by Raghubir Singh inspired the section entitled Rajasthani. The trials and tribulations of growing up and immigration are also considered here and, as with all of Divakaruni's writing, these poems deal with the experience of women and their struggle to find identities for themselves. This collection is touched with the same magic and universal appeal that excited readers of Arranged Marriage. 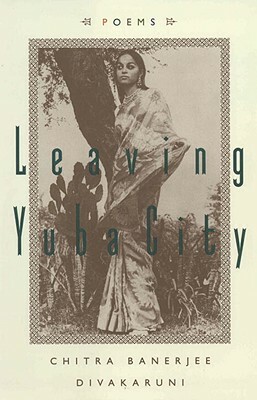 In Leaving Yuba City, Chitra Banerjee Divakaruni proves once again her remarkable literary talents. Chitra Banerjee Divakaruni is the bestselling author of the novels Sister of My Heart and The Mistress of Spices; the story collections The Unknown Errors of Our Lives and Arranged Marriage, which received several awards, including the American Book Award; and four collections of prize-winning poetry. Her work has appeared in The New Yorker, The Atlantic Monthly, Ms., Zoetrope, Good Housekeeping, O: The Oprah Magazine, The Best American Short Stories 1999, and The New York Times. Born in India, Divakaruni lives near Houston. For further information about Chitra Banerjee Divakaruni, visit her Web site at www.chitradivakaruni.com.